Noodle making (and eating) has been a highly discriminating pastime in countries such as Japan and China for centuries. In North America, though, the perception of ramen and other noodle varieties as something besides inexpensive student food has only recently started to take hold. 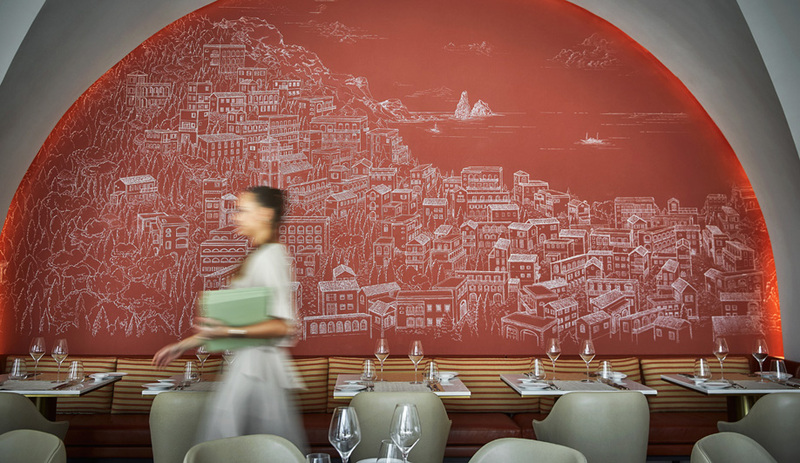 This shift is reflected in the growing number of Western foodies seeking out authentic fare – not to mention the increasing ambition and cachet of restaurants devoted to these staples. 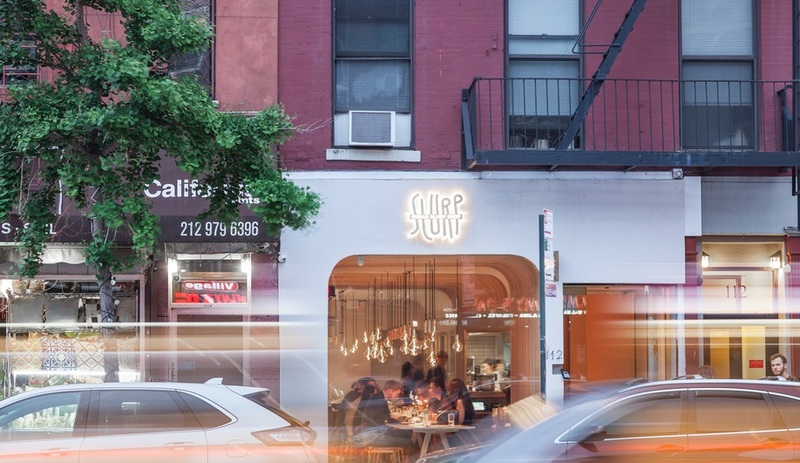 Witness Hunan Slurp, a recently completed New York City eatery designed by New Practice Studio as a contemporary temple to authentic Hunan rice noodles. 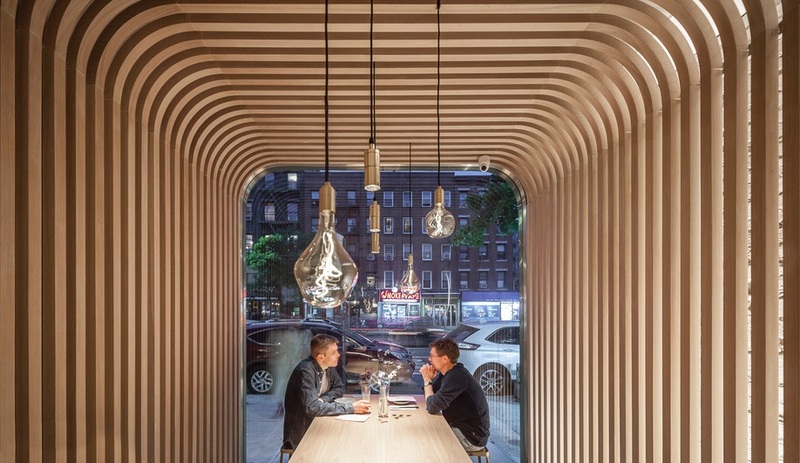 The interdisciplinary firm, which was founded by architect Nianlai Zhong and has offices in Manhattan and Shanghai, envisioned the 280-square-metre restaurant as “a place to look into and out from” – that is, a destination eatery on the city’s Lower East Side, a place to see and be seen in. 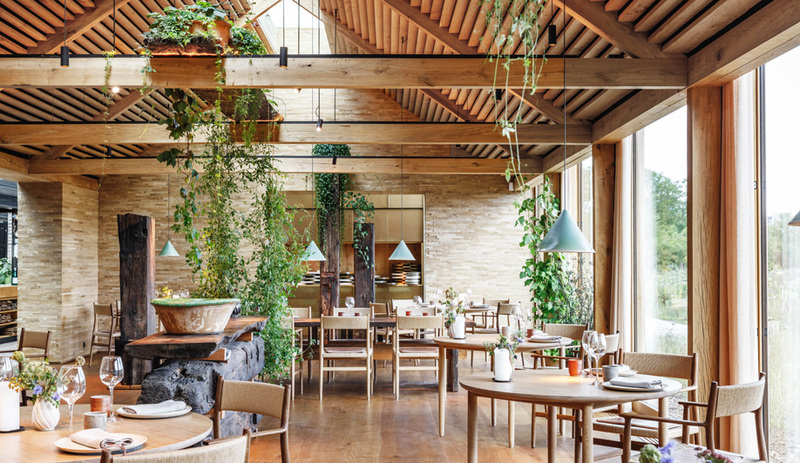 Inside, a series of communal dining tables anchors the centre of the restaurant and contributes to the space’s continuity. 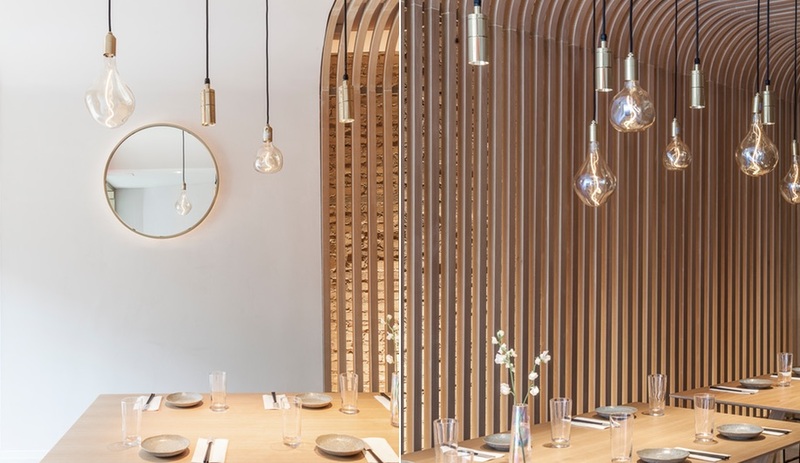 A clear highlight of the design is the rhythmic wood screen with fillet corners that evokes the rice noodles featured on the menu and produces a cocooning effect. The screen sits in front of existing brick walls, where carefully designed backlighting adds another layer of interest. 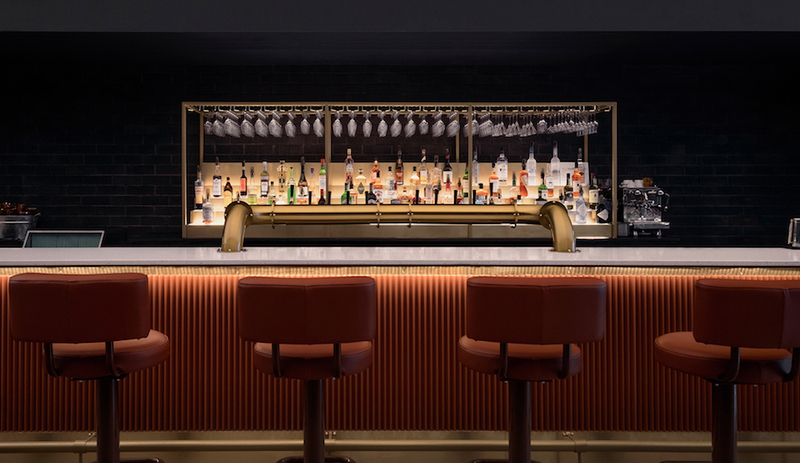 Opposite the kitchen in the rear, a row of smaller, marble-topped tables sits against a padded banquette. Other seating in the space includes wide wood-and-metal stools and a mix of hardback chairs. 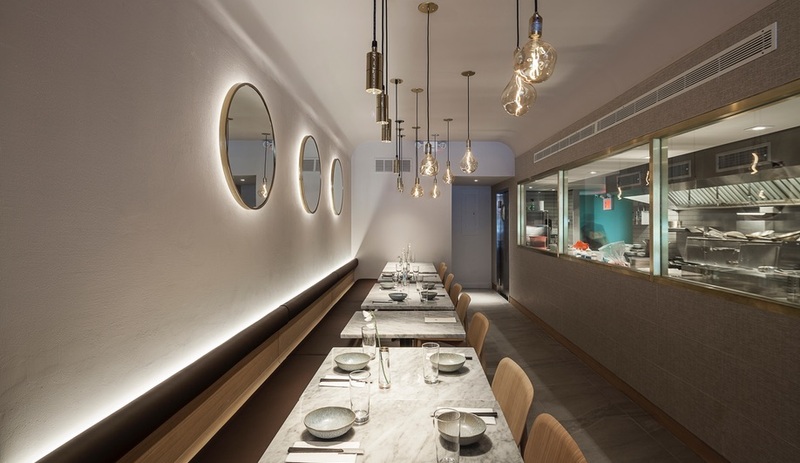 Overall, says the studio, the interplay between the white plastered walls and the contrasting wood screening creates a “bright and warm atmosphere” in the long, narrow restaurant. 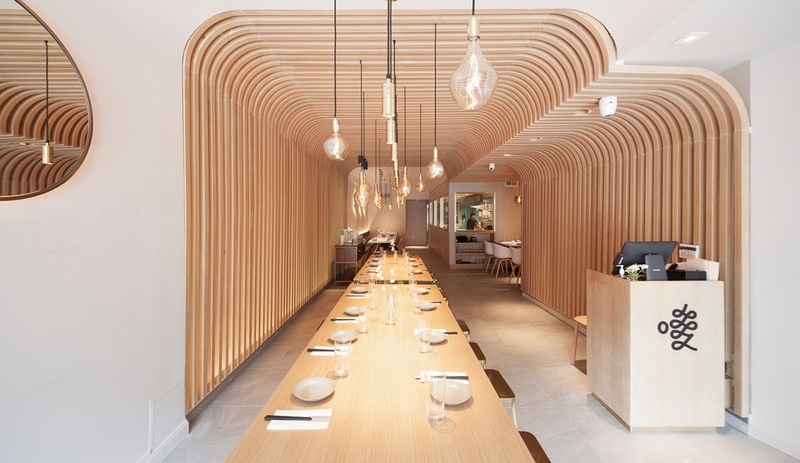 It also provides a stylish yet convivial setting for slurping up all those lovingly made rice noodles.